Part biography, part multimedia art smorgasbord, John’s Secret Dreams: The Life of John Lennon is more than just a nonfiction picture book: It’s a work of art itself. Incorporating lyrics, biographical facts, and images from Lennon’s life, Rappaport and Collier have created a work that speaks to even the youngest children about their subject’s fascinating life and his lasting legacy. The book is lyrical and yet factual, flowing in a natural way through Mr. Lennon’s life, from his lonely childhood to his days in the Beatles and beyond. It communicates in a beautiful and yet practical way that will draw readers of all ages. 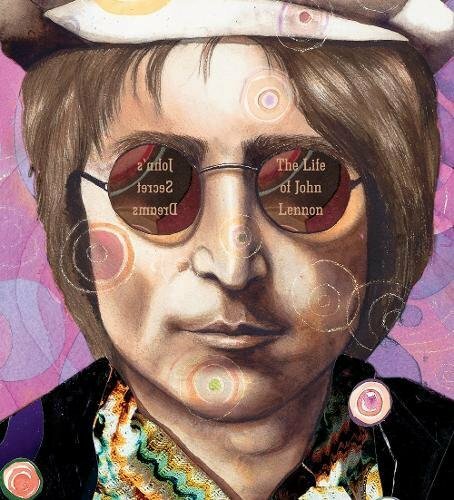 With amazing artistic style that perfectly matches with what we think of as Lennon’s carefree and almost hippie-like vibe, the book’s illustrations are combinations of lifelike art, collage, and abstract techniques that create movement while complementing the text. The addition of Lennon’s his lyrics to the biographical information at defining moments in his life, creates a moving tribute to one of the world’s greatest songwriters. While surely targeted as a book for children ages 9–12 (an unusual combination of format and age range), this book is also a wonderful addition to any Beatles collection. Adults will delight in the book’s truly inspirational message and fantastical artwork.